An architectural jewel, the Bath Haus will feature nine exceptional residences. The City Beautiful Movement began at the Columbian Exposition of 1893, with a grand plan to make cities livable for all. It would prove that cities could be planned with aesthetics, infrastructure and human services.  The Bath Haus is a rare address, invested in preserving a rich history and celebrating the neighborhood. Greenpoint is a vibrant post-industrial neighborhood with great views of Manhattan. An urban enclave, Greenpoint is nestled north of Williamsburg close to the East River. Tree-lined peaceful streets with hidden gems at every corner define a neighborhood with a unique creative lifestyle, including laid-back music venues, bars and restaurants - all just a small step from Manhattan. All Blue Huron LLS is a partnership between Christian Pompa of the veteran NYC development firm Caro Enterprises, Inc. and Christine Blackburn, a Brooklyn-based property owner, developer and real estate agent. This advertisement is not an offering. It is a solicitation of interest in the advertised property. No offering of the advertised units can be made and no deposits can be accepted, or reservations, binding or non binding, can be made until an offering plan is filed with the New York State Department of Law. This advertisement is made pursuant to Cooperative Policy Statement No. 1, issued by the New York State Department of Law. THE COMPLETE OFFERING TERMS ARE IN AN OFFERING PLAN AVAILABLE FROM SPONSOR. FILE NO. CD18-0208. All depictions of the units and building are artists' renderings and are for illustrative purposes only. The Barak Blackburn Team is a real estate salesperson team affiliated with Compass. Compass is a licensed real estate broker and abides by equal housing opportunity laws. All material presented herein is intended for informational purposes only. Information is compiled from sources deemed reliable but is subject to errors, omissions, changes in price, condition, sale, or withdrawal without notice. No statement is made as to accuracy of any description. All measurements and square footages are approximate. This is not intended to solicit property already listed. Nothing herein shall be construed as legal, accounting or other professional advice outside the realm of real estate brokerage.